Logic demands we ask why we’re throwing billions upon billions at rebuilding cities and regions that have been devastated by hurricanes and are destined to be hospitable only to marine life by the end of this century or (probably) much sooner. The cost of Katrina in damages alone was $160 billion. 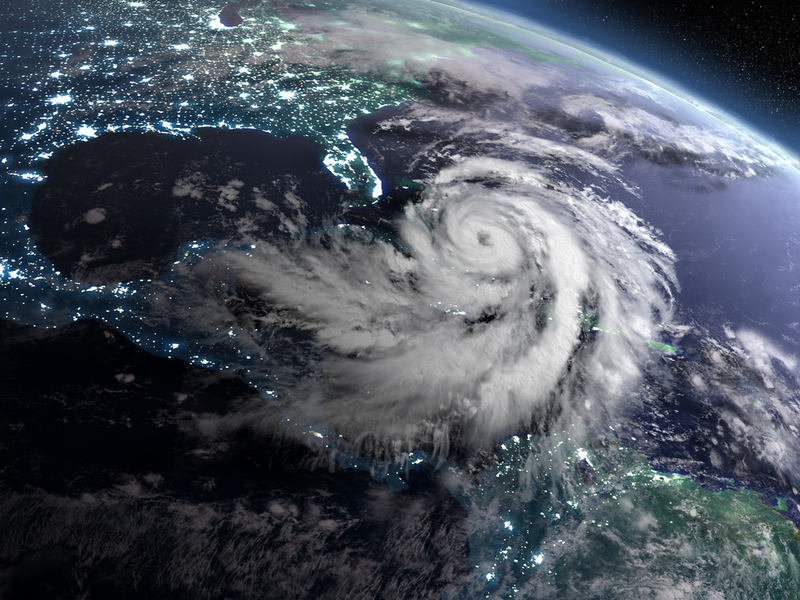 The hurricane’s true cost was pegged at somewhere between $215 billion and $250 billion, depending on the source quoted. The responses to these natural disasters to date have been much like W’s: We shall overcome, we shall make it right, we shall rebuild. Now, with a recent report from the United Nations Intergovernmental Panel on Climate Change (IPCC) and global warming/climate change science reports that would fill the Grand Canyon, it’s time to rethink that gut reaction. Even if we were to stop releasing carbon dioxide, the most damaging greenhouse gas, into the atmosphere immediately, there would still be recurring damage to U.S. coastlines. Worse, cities like New Orleans and Manhattan, and even huge parts of states like Florida, will be entirely underwater or at least massive segments of their land mass will be. Logic demands we ask why we’re throwing billions upon billions at rebuilding cities and regions that are destined to be hospitable only to marine life by the end of this century or (probably) much sooner. That’s just two years from now. Source: NBC News – https://nbcnews.to/2AcDPAd – Time-lapse graphic of Florida going under water due to sea rise caused by climate change. Regardless of what we do in the near future to limit CO2 emissions – and we need to do something drastic within the next 12 years to limit warming to 1.5°C – sea levels will continue to rise. Higher, warmer waters mean stronger hurricanes, and stronger hurricanes mean more damages. Unfortunately, due to the inability of many nations, and the unwillingness of others (most notably the United States), it’s not likely anything of real substance will happen anytime soon. So we’re stuck with rising sea levels, more intense hurricanes, hundreds of thousands of people impacted and damages in the billions upon billions. This isn’t going to stop. Rising sea levels that result from human-caused climate change are going to continue to wreak havoc on coastal areas, cities and people for decades at minimum, and more likely for generations. Rebuild and we’ll soon be rebuilding again. It’s no longer a question of if, but when and how often. So, back to the here and now, and to the original question: Should we spend billions to rebuild coastal areas and cities devastated by hurricanes? Which leads to a new question: Or should we use those dollars to help people start fresh somewhere new? Given the stark realities of climate change, starting somewhere new seems like a more reasoned choice. And here’s one better: In conjunction with starting people over somewhere new, should we invest in renewable energy technologies that are creating jobs and eliminating the need for CO2 emissions that are causing these problems? Given the stark realities of climate change, investing in new energy infrastructure and R&D seems more like a moral imperative than a choice. Excellent article and you’ve raised some serious questions that need to be considered. It reminds me of our area where homes built in flood prone zones have been demolished and future construction in those areas is forbidden. You can’t fight Mother Nature after all! Next Next post: There’s this dog.